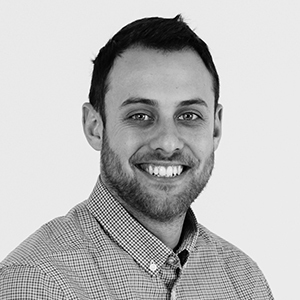 Seth Weil joined Call9 in late 2016 to focus on foundational operations and to prepare the organization for scale. He quickly realized the need to develop resources and create systems that would enable the efficient rollout of the Call9 service to the marketplace and set out to build that capability from the ground up. As Call9’s Head of Implementation, Weil provides strategic guidance and oversight to the integration of the Call9 service with its post-acute care partners. He is also intimately focused on enabling Call9’s expansion and building scalable operations across systems and teams within the organization. Prior to Call9 and his startup career, Weil spent time in large, institutional settings. As a Operations Strategy professional with the Mount Sinai Health System, and former Management Consultant in PricewaterhouseCooper's Healthcare Advisory practice, Weil’s primary area of focus and experience has been in healthcare provider growth strategy and operations. A volunteer EMT since 2007, Weil draws on his experience in clinical practice as a guiding foundation for navigating the healthcare space and driving positive change. Weil earned a B.A. in Psychology from Boston College, where he also completed coursework in Management & Leadership within the Carroll School of Management. While at Boston College, Weil also served on the leadership team of Boston College EMS, helping chart the organization’s evolution into one of the nation’s largest and most developed collegiate EMS agencies. To this day, he continues to serve as a volunteer EMT in his hometown on the Jersey Shore. Lauren M. Post, MD, FACEP is the Director of Acute Care Services at Call9, encompassing both the acute and clinical decision units. To further the goals of high quality, coordinated care, she focuses on the organization of providers into a cohesive team and in improving clinician engagement. Currently, she is particularly interested in identifying and overcoming the challenges faced with remote employees.